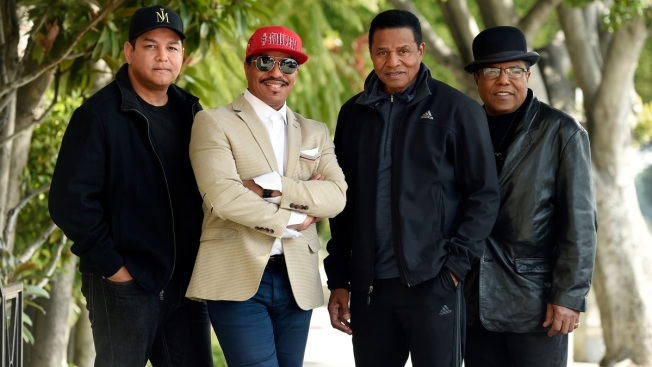 In this Tuesday, Feb. 26, 2019 photo, Marlon Jackson, second from left, Jackie Jackson, second from right, and Tito Jackson, far right, brothers of the late singer Michael Jackson, and Tito's son Taj, far left, pose together for a portrait outside the Four Seasons Hotel, in Los Angeles. The brothers gave the first family interviews Tuesday on “Leaving Neverland,” which features two Michael Jackson accusers and is set to air on HBO starting Sunday. 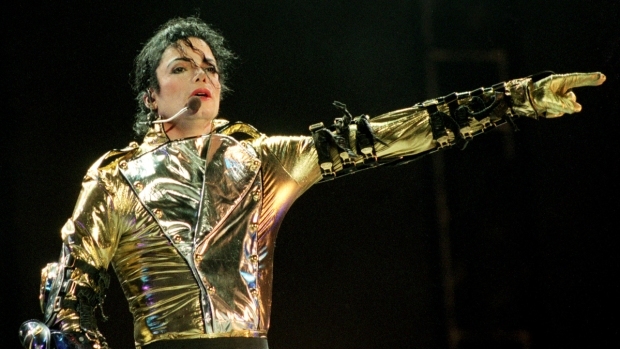 The family of Michael Jackson had a feeling the years-old child molestation allegations against the pop superstar would resurface at some point. So they say they weren't entirely surprised to learn that a forthcoming HBO documentary would feature two of his accusers. The documentary, which premiered at the Sundance Film Festival to a standing ovation, will starting Sunday air the abuse allegations of two men, Wade Robson and James Safechuck, who had previously denied Jackson molested them and supported him to authorities and in Robson's case, very publicly. It was the latest and most public pushback from the family and Jackson estate, which have repeatedly denounced the documentary in recent weeks through written statements, a lawsuit, and letters to HBO and Britain's Channel 4, which plan to air the film. HBO announced Wednesday that it will air a special on Monday night in which Oprah Winfrey also interviews Robson and Safechuck. The men's lawsuits have been thrown out on technical grounds, but are on appeal. The Jackson estate's lawsuit, filed last week, alleges "Leaving Neverland" violates a 1992 contract agreeing the channel would not disparage Jackson in the future. HBO called the lawsuit a desperate attempt to undermine the film.